Did she say she spent $1,800.00+??? Why did she spend so much?? 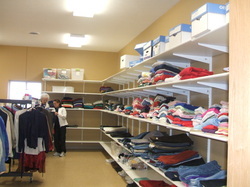 YOUR CLOTHING BANK does everything it can to meet those needs at ZERO cost to the clients. We rely heavily on the donations and are so grateful for them. which allows us to share with many people, near and far. Our own MCC rummage sales! Val-u-land, who picks up extra items for international disaster relief and local sales in their G.R. branch. 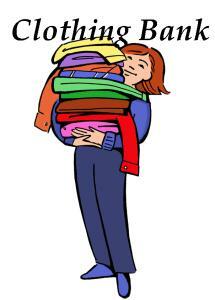 When we have clothing items that are too damaged to be used they are sold to make people to make rugs or rags. Fremont. The agency assists the unemployed with preparing resumes, interview skills, and provides free, appropriate clothing for interview and helps them become acclimated for the first few weeks after they are hired. The dressier items are given to this group. Army re-sale shops. 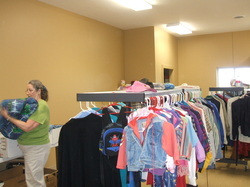 Local churches give us what we can use and we, in return, give them a modest donations. Mathew (26:32-40) when Christ speaks of the final judgment.